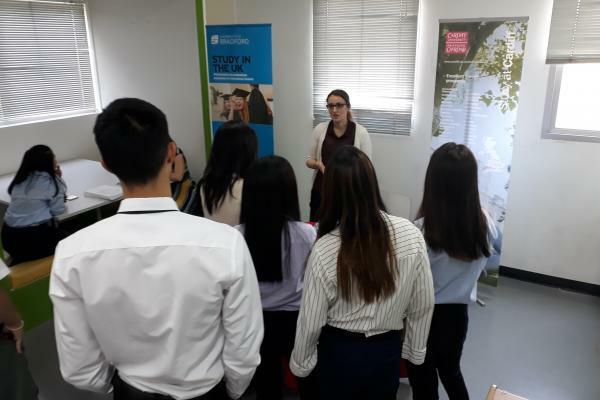 The sixth form received a visit from three UK universities on Friday 19th of January - Bradford University, Staffordshire University and Cardiff University. This gave both our sixth form and Year 11 the opportunity to discuss a broad range of courses and application choices. They were able to ask about UCAS, the application process and to find out more about studying in the UK. The Universities were all impressed by the questions describing our students as 'bright and engaged' . Year 13 are currently applying for next year and our Year 12 are beginning to make early decisions on possible destinations.